As promised at its Build 2014 conference, Microsoft is pushing Windows Phone 8.1 to Lumia devices alongside its Cyan firmware update. All Lumia hardware running Windows Phone 8 should be eligible for the upgrade, although Microsoft stresses that it will be available for its full range “in the coming weeks.” A few smartphones including the new Lumia 630 and 635 have already shipped with Windows Phone 8.1 – the Lumia 930 will follow shortly – but this will clearly open it up to a larger pool of customers. 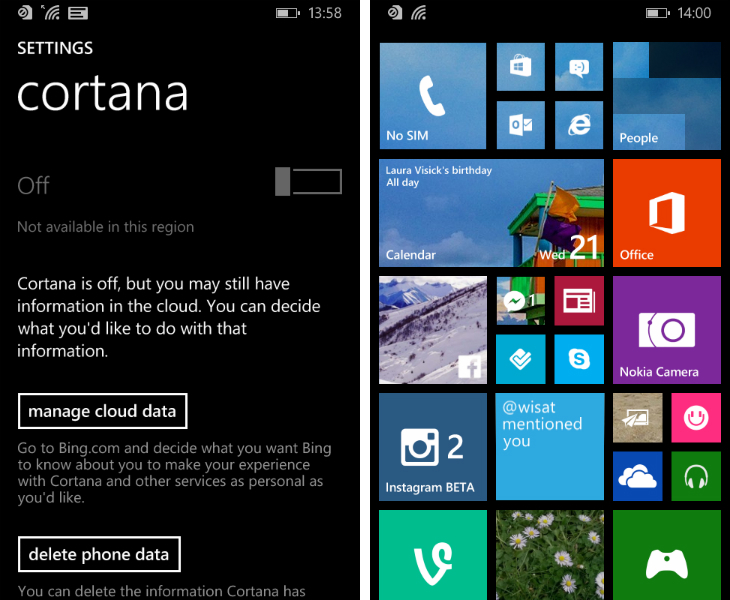 Windows Phone 8.1 comes with its Cortana personal assistant, although it’s only available in the US for now. There’s also an Action Center for notifications, a new ‘WordFlow’ keyboard and better Start screen customization options. As part of the Lumia Cyan update, handset owners will also be greeted with an upgraded Nokia Camera and Camera Roll, as well as a refined Storyteller app and the option to install apps to a microSD card.